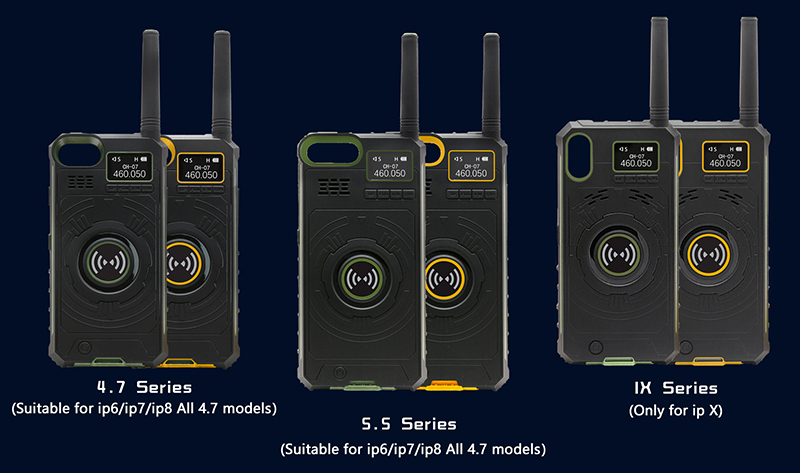 This product is not only a walkie-talkie, but also a power supply and a protective cover. 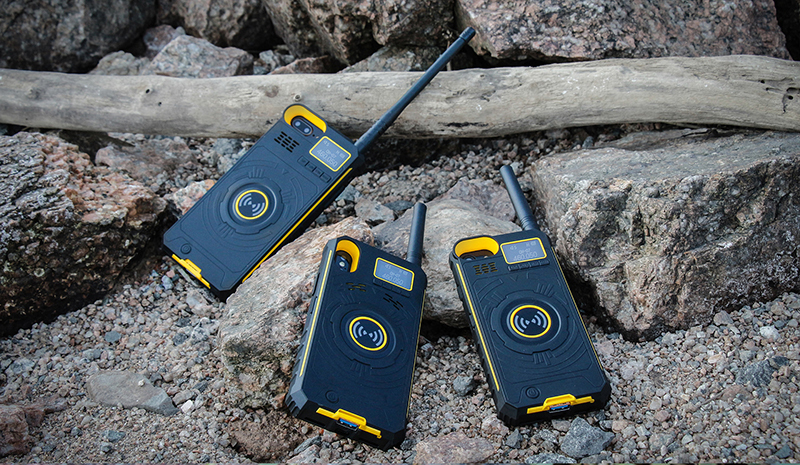 Waterproof, dustproof and shockproof strong rugged phone suitable for all tough environment. 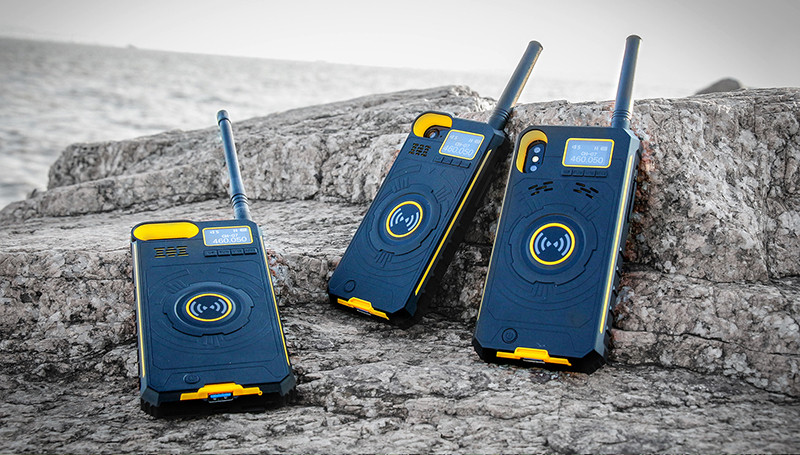 The power of this walkie talkie 3W power. 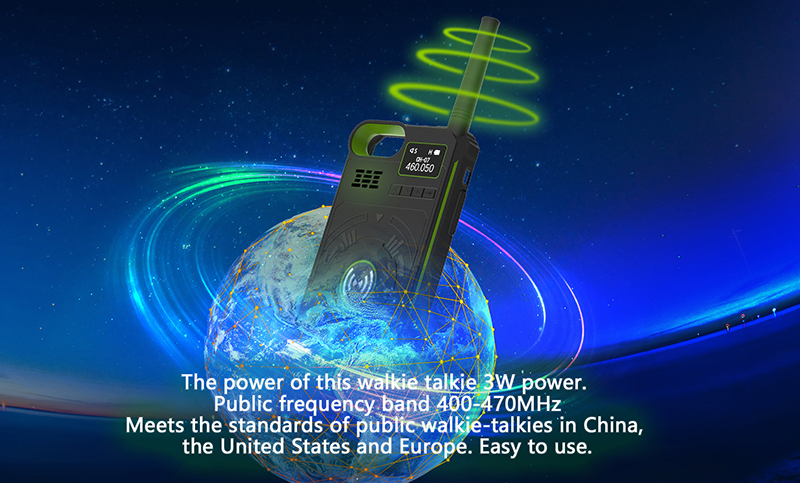 Public frequency band 400-470MHz. 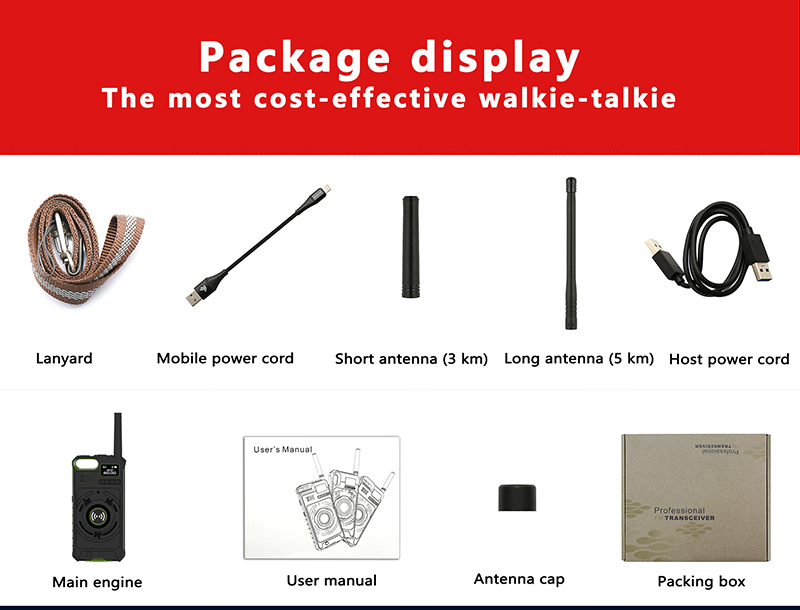 Meets the standards of public walkie-talkies in China, the United States and Europe, easy to use. 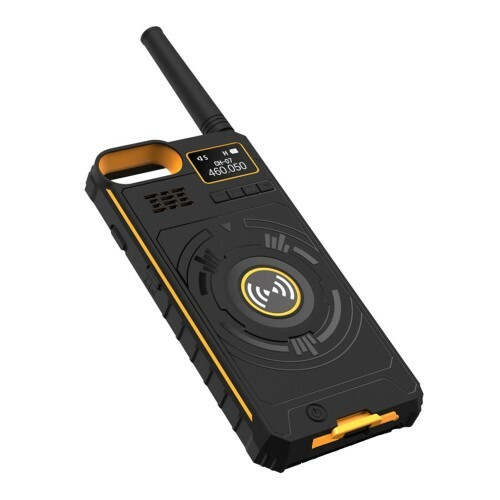 3500mAh strong battery power bank keeps your phones full of power all the time, one phone solve all the battery power problem from now on. 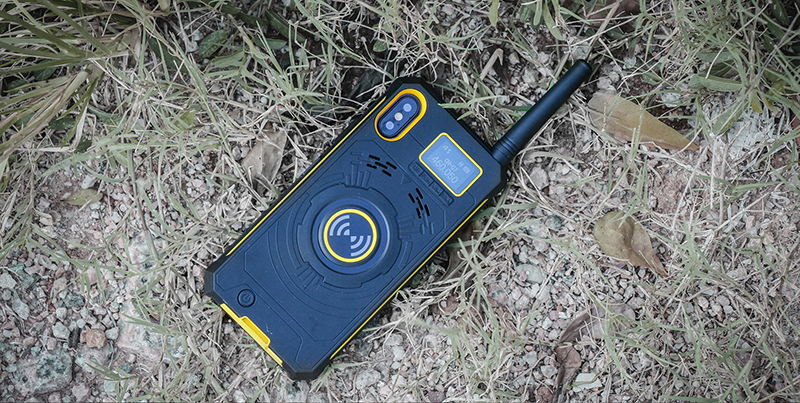 Stay connected during your wildest outdoor adventures. 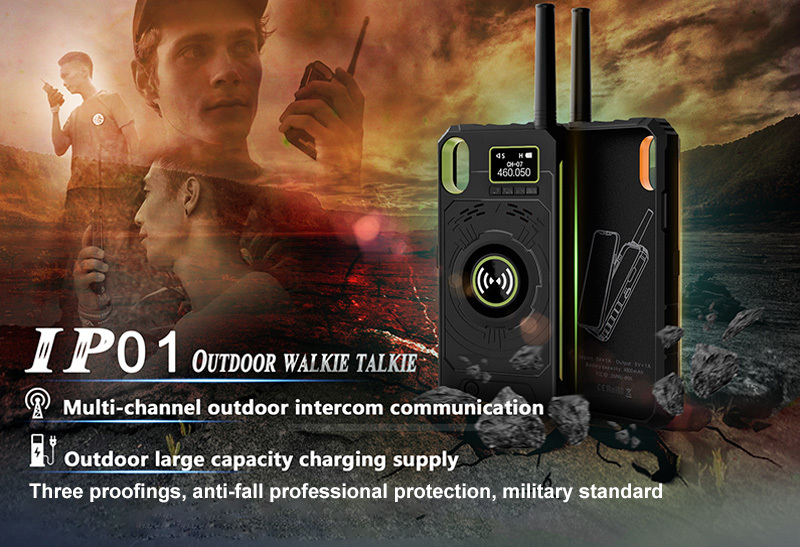 Go outdoors. 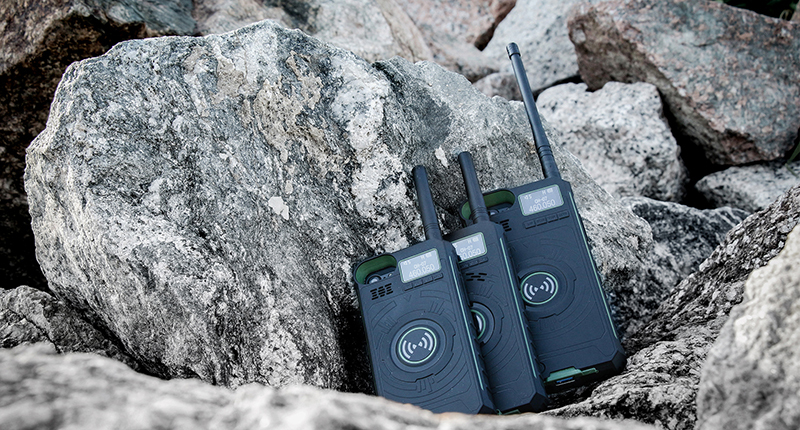 Go explore. 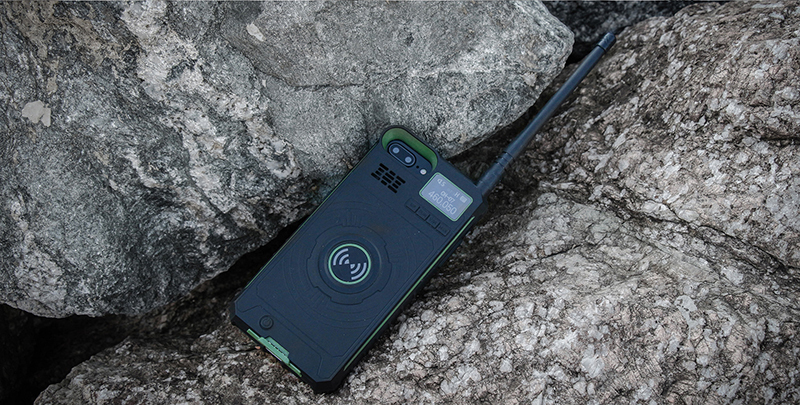 Go adventure. 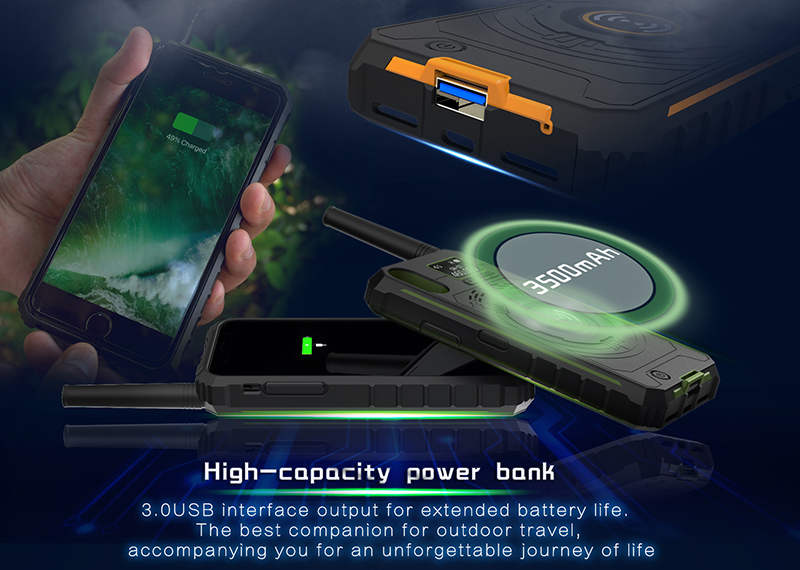 3.0USB interface output for extended battery life, the best companion for outdoor travel, accompanying you for an unforgettable journey of life. 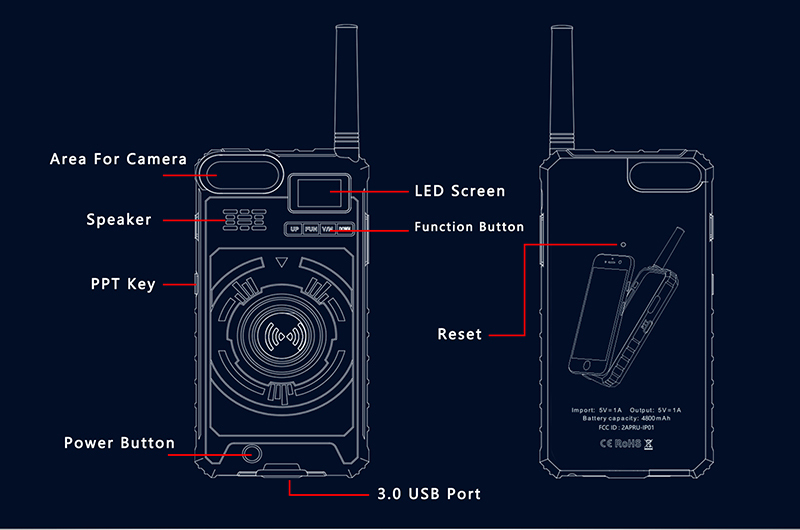 Perfectly combined with iPhone, supplement iPhone lacks intercom function defects. 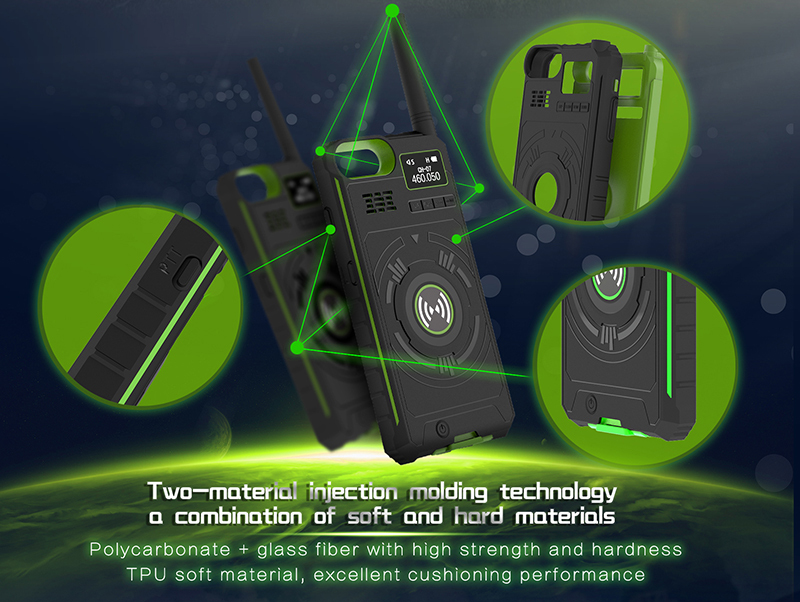 Two-material injection molding technology a combination of soft and hard materials, polycarbonate + glass fiber with high strength and hardness TPU soft material, excellent cushioning performance. 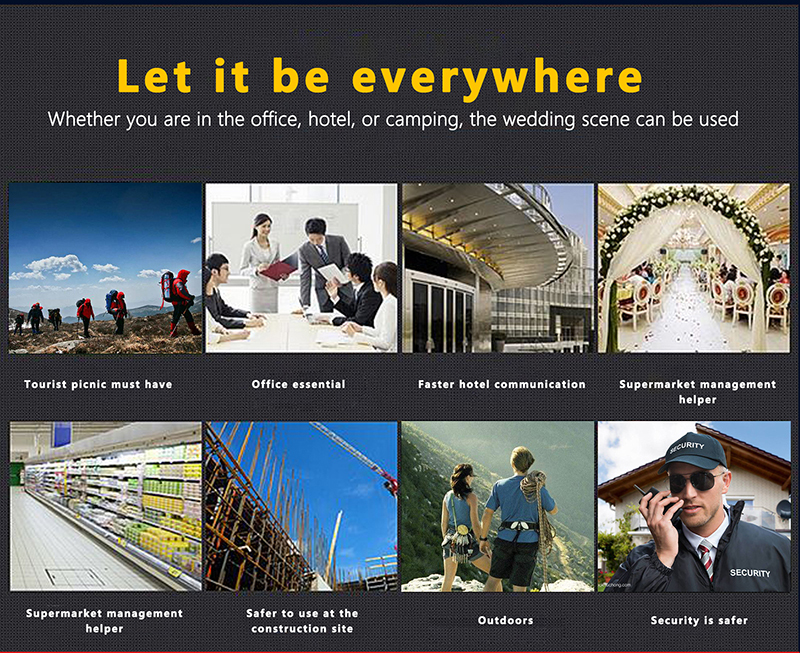 Keep going! 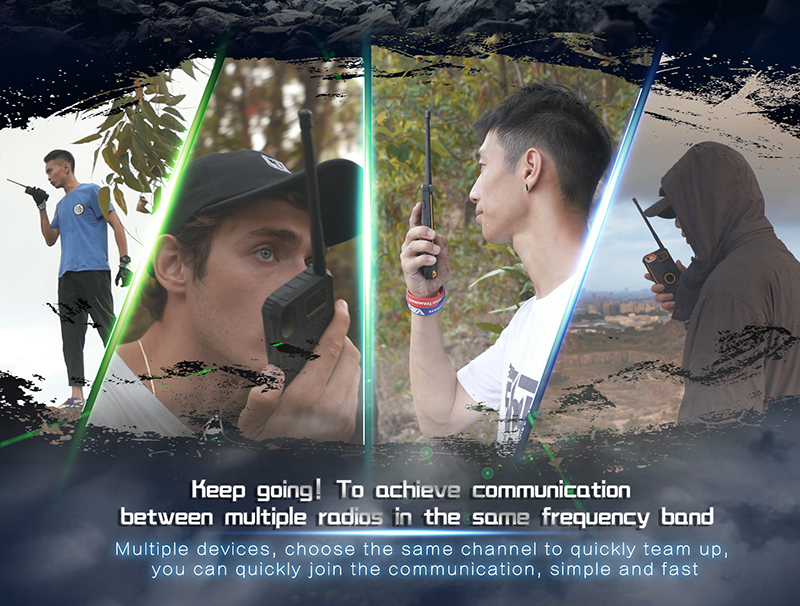 To achieve communication between multiple radios in the same frequency band. 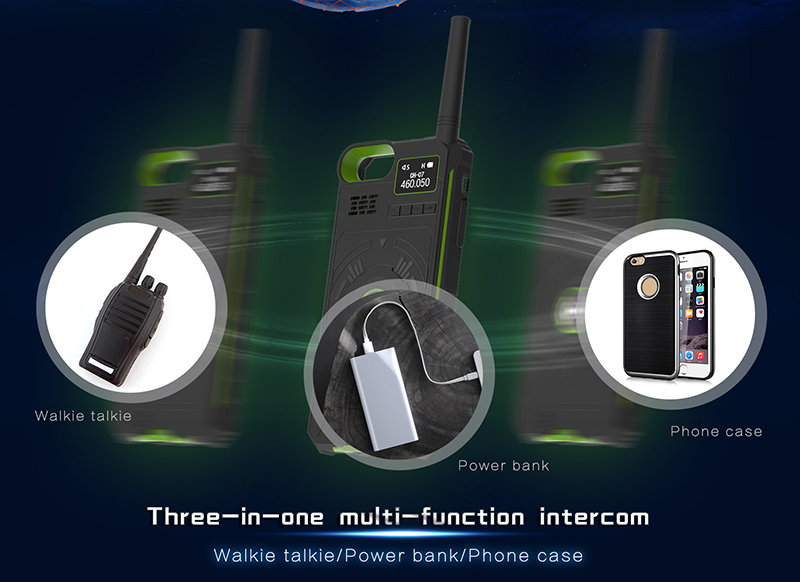 Multple devices, choose the same channel to quickly team up, you can quicky join the communication, simple and fast. 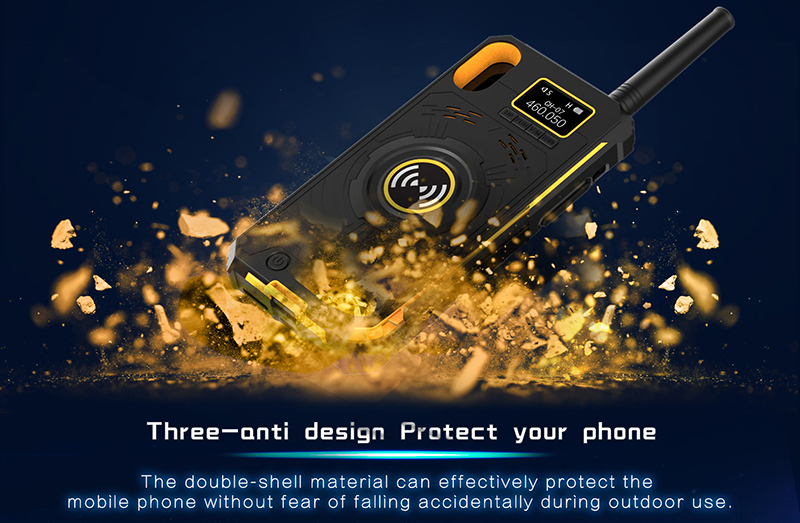 The double-shell material can effectively protect the mobile phone without fear of falling accidentally during outdoor use.